Here are the best ways to lose weight efficiently for lazy people. It also helps for people who are not lazy. For the most of us, the act of losing weight is an enormous task to accomplish. There are many strategies, workout routines, a rigorous diet regime to lose weight, the majority of them require hard work. However, some of us are too busy that is almost an impossible task to complete. It is a convenient way to think, right? We all have 24 hours. The problem is we do not have self-discipline. That is why we struggled with it. However is not the end of the world. You can still recover your health. The time to change our mind has arrived. Is “time to make time” for reflection. Why should we make time for Self-Reflection? The short answer is because tomorrow is going to be late. Obesity or being overweight increase the risk of developing various health problems. You need to found your best attitude toward a better life. Even a modest amount of weight loss can help yourself to live healthier. Be committed to change your lifestyle right here right now. A Japanese method involving a rolled towel to lose weight. Yes, the only thing you will need is a towel. Do not be surprised. It is a scientifically proven method from a Japanese doctor called Toshiki Fukutsudzi. He introduced this straightforward way to lose weight. – Roll a large towel to make a form of a cylinder. – Wrap the towel with an adhesive tape. – Lay down on a flat surface, or you can do it in a hard bed, place the rolled towel under your waist. – Position your feet in a shoulder-width apart. Your toes should be touching each other keeping a distance between your heels. – Lift your arms and take them over your head. Your pinky and ring fingers should be touching each other. Start with 5 minutes in this position. Practice with 7 minutes after one week has passed. At the beginning of this exercise you will feel pain slightly, but with practice, you will not feel pain anymore. 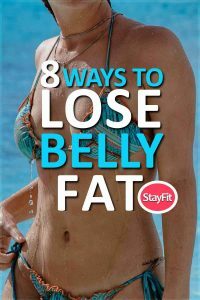 Want to learn how to lose your belly fat fast? This exercise works surprisingly well because it stretches your spine and puts back in the right position your hip bones. The science behind it is that the layer of fat throughout the belly is the result of misplacement of your pelvis. When you perform this quick form of exercise, you are fixing your pelvis position, which produces a small waistline. Apart from losing weight this practice help you to ease back pain, and it strengthens your abdominal muscles, is indeed an exercise for lazy people. You do not have excuses anymore. Try this exercise today. Always begin a meal with a glass of water. 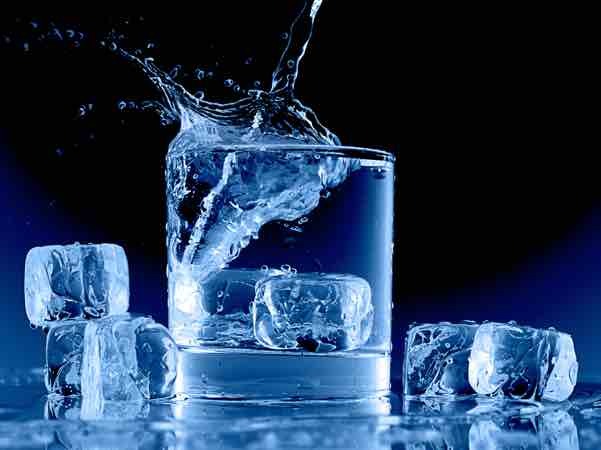 The water will maintain you hydrated, and you will feel fuller immediately, this helps you not to overeat. When you do not see the results you want is because you are drinking your calories. Soda, wine or morning juice can add up. Instead, drink detox water like mint water, cucumber or lemon to save on valuable calories. Sometimes you do not give yourself time to a workout. ( watch the video above – self-discipline). Burn some extra calories by making an effort to walk more during the day or early in the morning. You can do a walk around your office space. Avoid to use the elevator, use the stairs instead. Skipping the gym. There are times that you are very focused on your work that you do not want to eat, skipping your lunch is a bad choice. Eventually, you will be more hungry than usual, a little hunger can be right for you, but don’t starve yourself all day or wait till your dinner. Your meals need to be well-timed, in this way, you are avoiding low blood sugar levels, one of the reasons that are causing you not to function correctly or to have mood swings. Eat your dinner early and choose a healthy one. Keep it to about 25 percent of your daily calories. Eating at a late hour, in large portions is one of the reasons people have indigestion and is one of a well-known cause of having a not so good sleeping time. You could have nightmares too. Lack of sleep can cause you to eat more during the day. If you do not sleep enough, you will not have the energy necessary to do your everyday tasks neither your workout routines. Enough sleeping it is an efficient way to maintain your weight. The Smoothie Diet 21-day Program will transform your life entirely over the next three weeks. Lose weight. Stay Fit and Thrive.